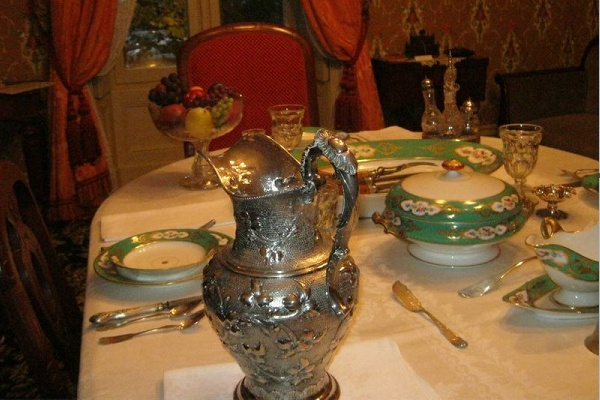 Starting in May, Germantown’s Ebenezer Maxwell Mansion will invite local-history enthusiasts on an “Upstairs Downstairs Tour” that will explore the lives of Victorian women. 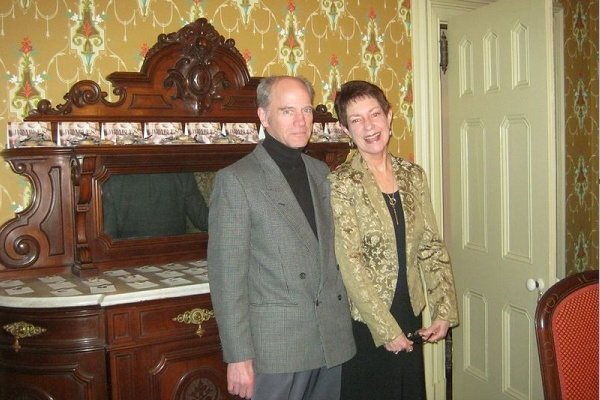 Funded by a bequest from the late Philadelphia architect and preservationist Henry Magaziner and scripted by historical novelist Cordelia Frances Biddle, the tour was the focus of a Saturday night kick-off event at the West Tulpehocken Street mansion. 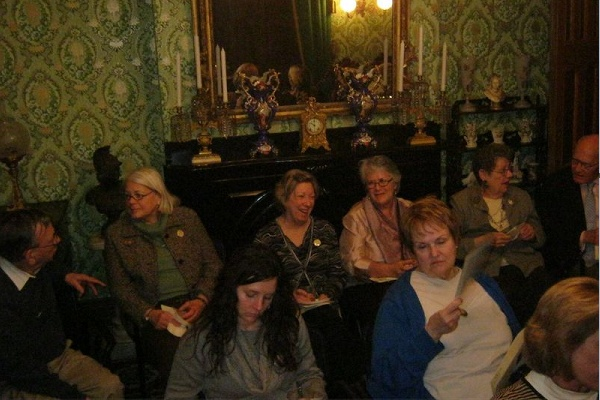 There, Executive Director Diane Richardson’s brainchild came into focus through a special presentation in the parlor by Biddle, who shared true stories of notable Victorian-era women in Philadelphia and beyond. Before the program started, Biddle told NewsWorks that she enjoys exploring the ways women’s roles evolved — in the 19th and early 20th centuries — from the ideal wife and mother of the Victorian “hearth and home” to the upheaval of the Civil War, Gilded Age and Progressive era. Biddle noted a Victorian school of thought that cast women as the “generals” of the home. 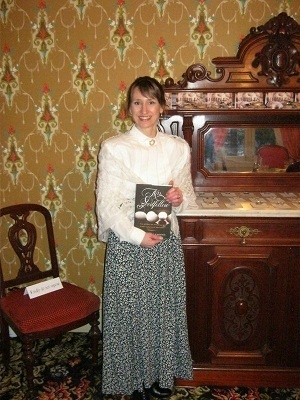 She’s also dedicated to educating people about the “darker side” of Victorian life for women, in part because American women still face legislatures that undermine their reproductive rights, equal pay or protection from violence. “I really believe there’s an inherent misogyny in our world that women are still fighting against,” said Biddle, who is currently working on a biography of her ancestor St. Katharine Drexel. Biddle’s presentation included a brief biography of 19th century British author Isabella Mary Beeton who wrote “Mrs. Beeton’s Book of Household Management,” the era’s household “Bible” before dying during in childbirth when she was 28. Biddle also spoke about Pennsylvania activists including suffrage leaders like Jane Campbell of Germantown and the Philadelphia-born Eliza Sproat Turner, who helped found the PA Woman Suffrage Association in 1869. Delving into women’s impact in the medical field, she touched on Florence Nightingale and the role of female medical professionals in the Civil War. “The Civil War made it possible for women to envision themselves in active medical roles,” she said. She also told the story of Dr. Ann Preston, the first female dean of the Women’s Medical College of Philadelphia who fought for her students’ access to educational clinics. Biddle described 1869’s “infamous” surgery clinic at the Pennsylvania Hospital, where her students were forced to enter through a back staircase and then endure hisses and wads of paper from male students as they took their seats. The Professor of Surgery bowed to the male students only, and when the naked form of the male patient was momentarily undraped, Preston’s students were “hounded” from the building, she said. Among the daily inequalities every Victorian woman faced, Biddle mentioned prohibitions on walking unchaperoned and a lack of voting rights to property, divorce and custody laws that always favored men. 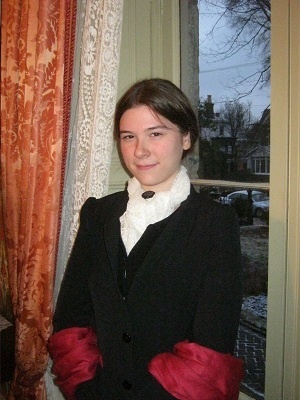 After Biddle’s presentation, Philadelphia actress Megan Edelman took up the same themes through her portrayal of legendary suffragist Susan B. Anthony. Sporting Anthony’s trademark red shawl, Edelman reenacted her Declaration of the Rights of Women of the United States, which was originally delivered on the steps of Independence Hall at the 1876 Centennial Exhibition celebration. 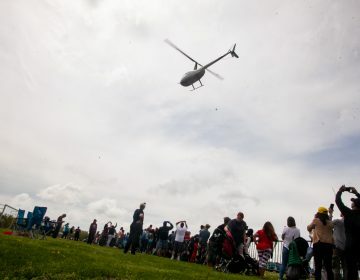 “I hope I can convey some of her conviction,” said the 23-year-old recent University of Pennsyvania graduate of the speech Anthony delivered in her mid-fifties. To prepare, Edelman read “Failure is Impossible,” Lynn Scherr’s biography of Anthony. 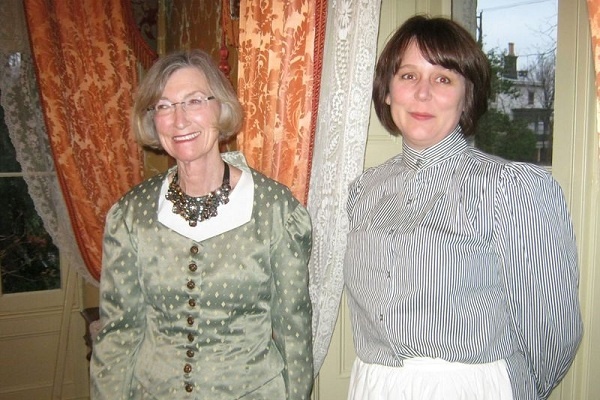 Ebenezer Maxwell Mansion’s “Upstairs Downstairs Tour,” which will be led by a duo of costumed docents portraying a maid and the lady of the house, will begin in May. 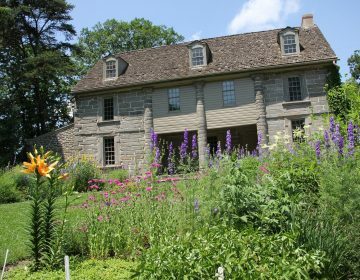 Tours will start at 7 p.m. on the first Friday of every month. Tickets can be purchased through the Mansion’s website.